We have one standard twin bedroom available. This room sleeps a maximum of two people. 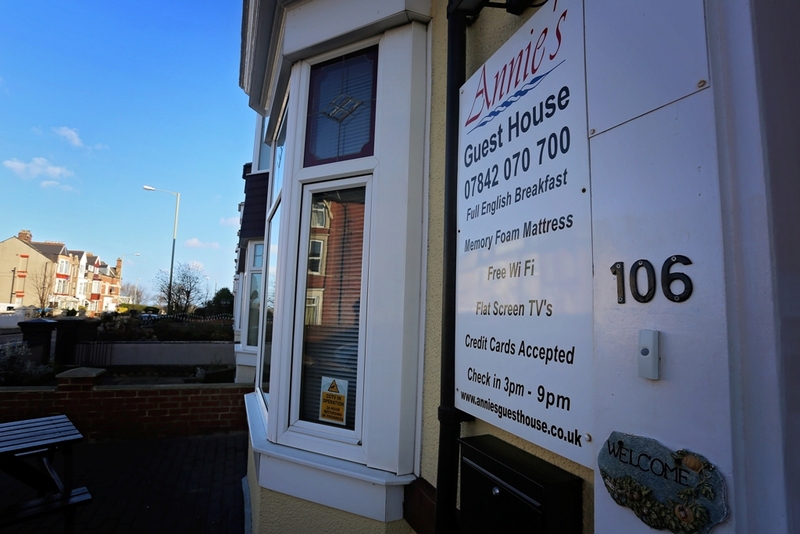 If you just need to book one room you can book online on our website 24/7. 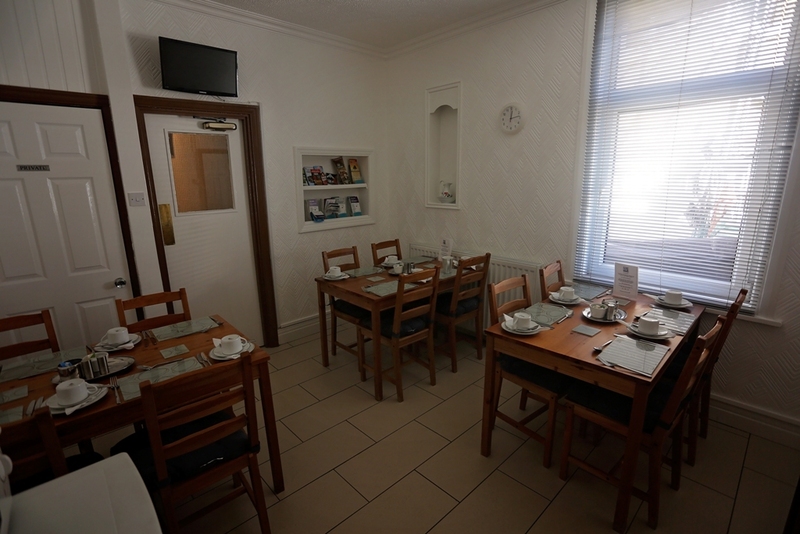 If you need to book more than one room please telephone us to book. Not the right room type for you? 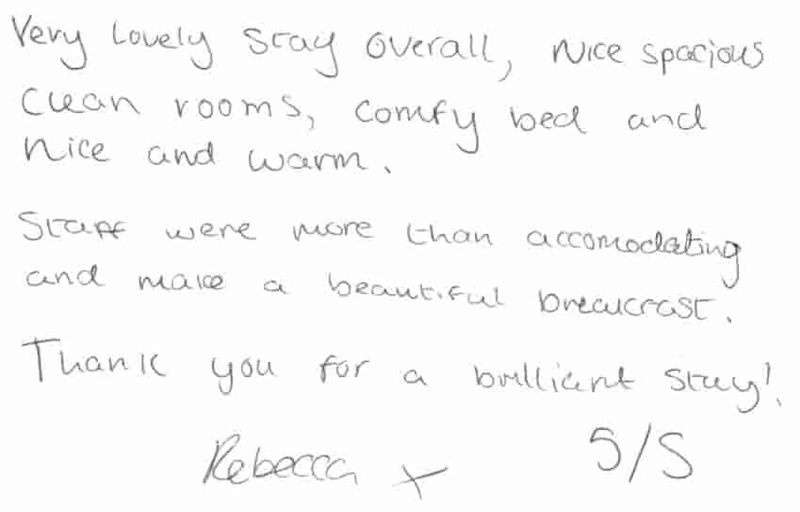 Why not try our standard double or en suite twin bedrooms? 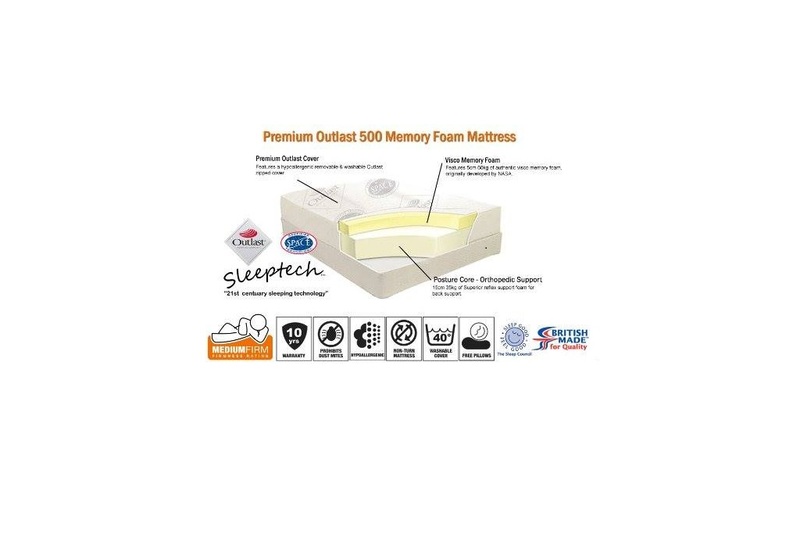 Comfortable "double deep" memory-foam mattresses. Double-glazed opening window with blackout blinds. Kettle, tea, coffee, hot chocolate and biscuit tray - replenished daily. 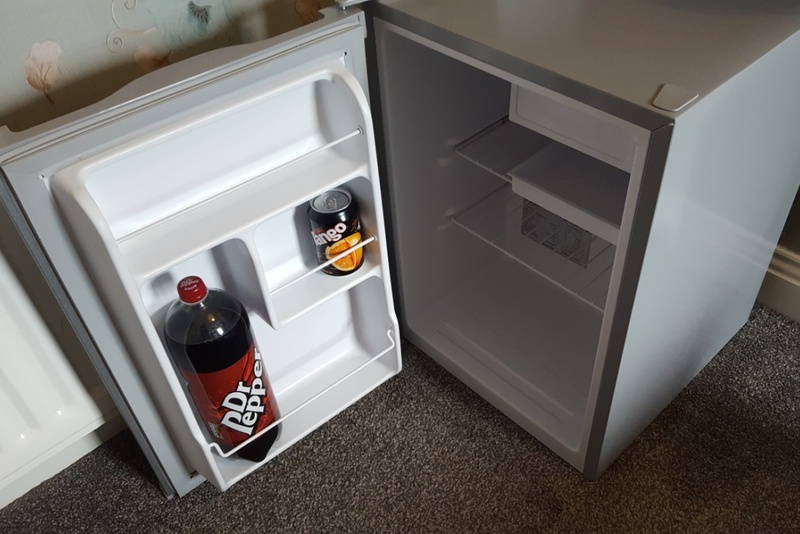 66 litre guest fridge with fresh milk and ice-maker. 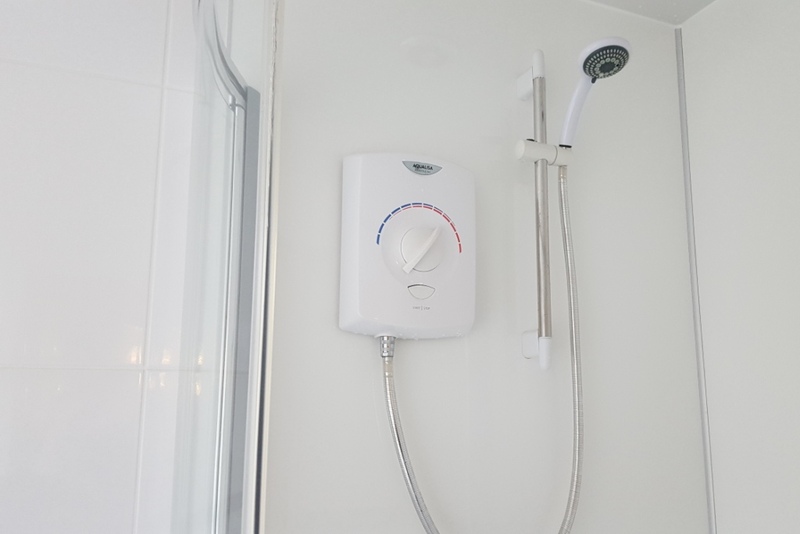 Heating and hot water available 24/7. Free wi-fi - book online via our website for exclusive access to our faster 5GHz wifi. Same-day laundry service (extra charge applies). 24/7 late check-in available (no extra charge). 24/7 access no curfew or lock-out. Early check-in and later check-out availble (free when you book online via our website). 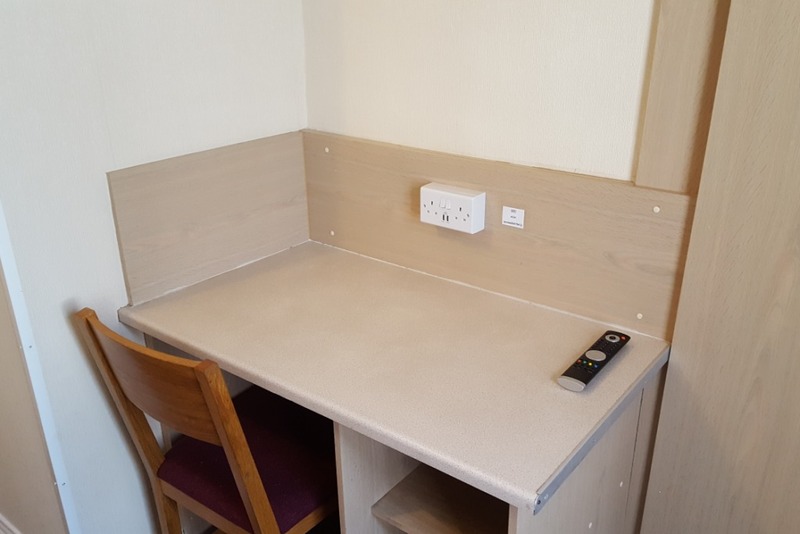 Desk and chair in all rooms. 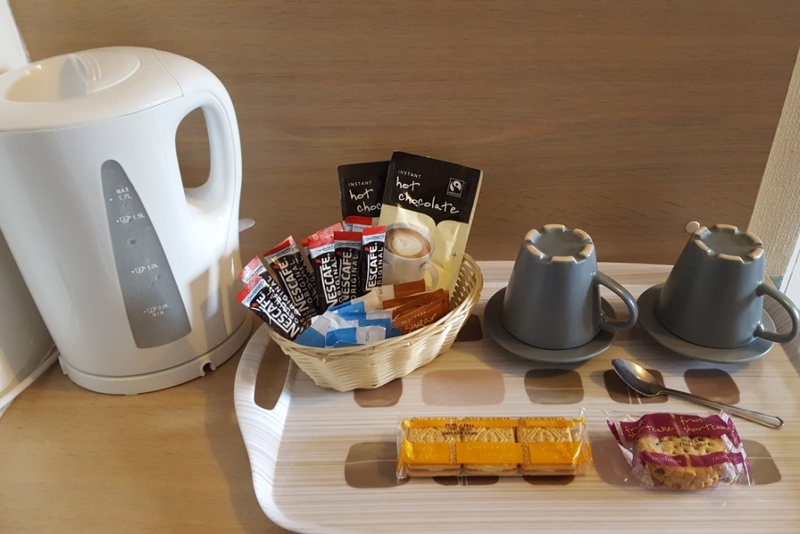 In-room kettle, tea and coffee. 66 litre room fridge with ice box and fresh milk in all rooms. 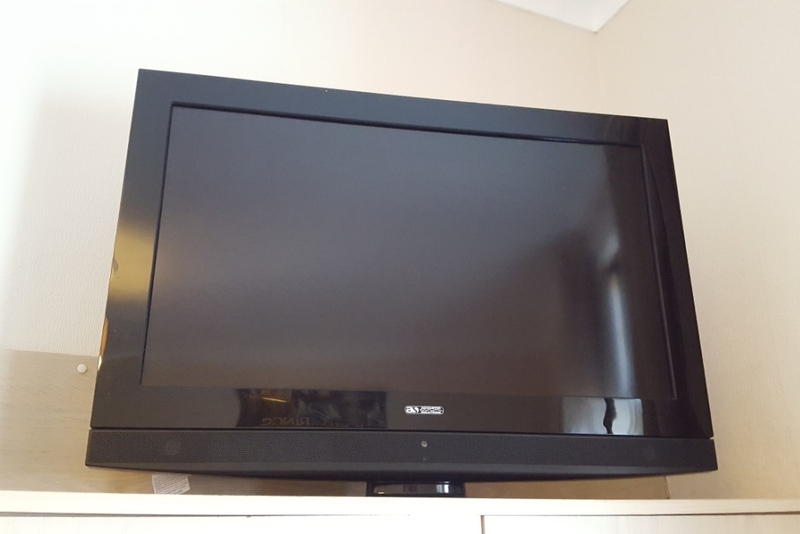 Flat screen televisions in all rooms. 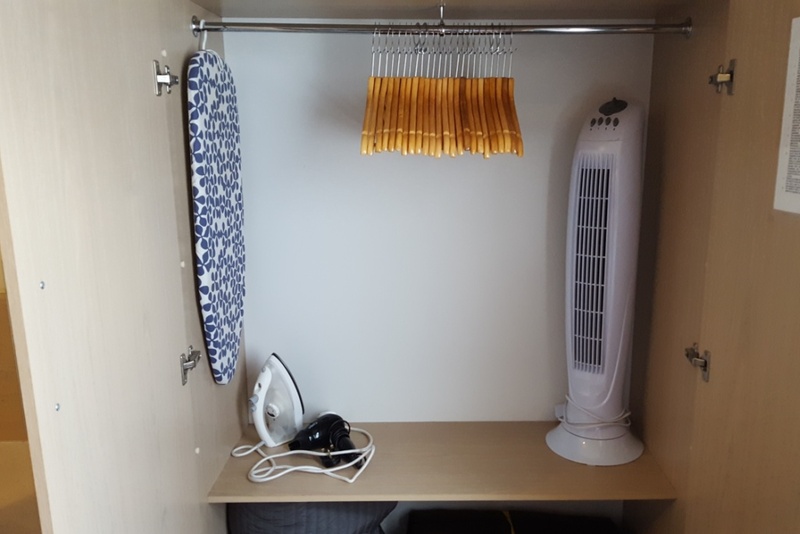 Double wardrobe with hair dryer, iron, ironing board and cooling fan in all rooms. Memory foam mattresses on all beds. Dining room with guest fridge and microwave. 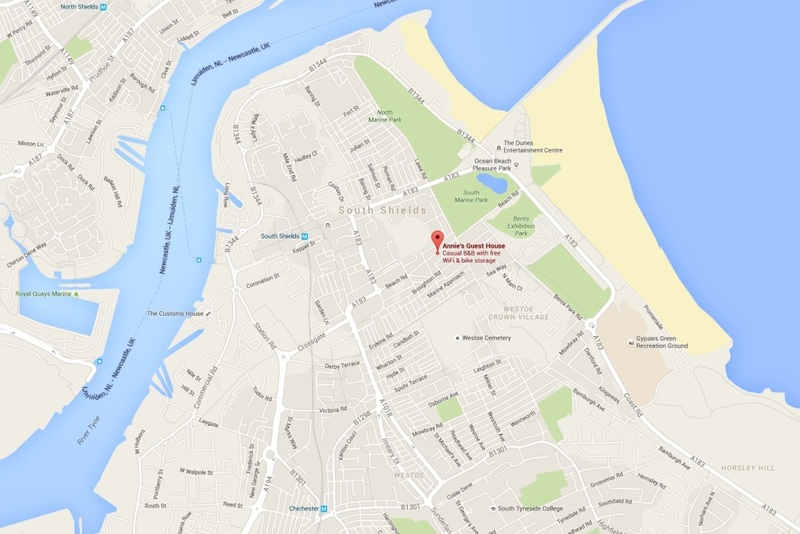 Location of our South Shields bed and breakfast accommodation. See room rates, availability and book online. Don't forget to check out our special offers. 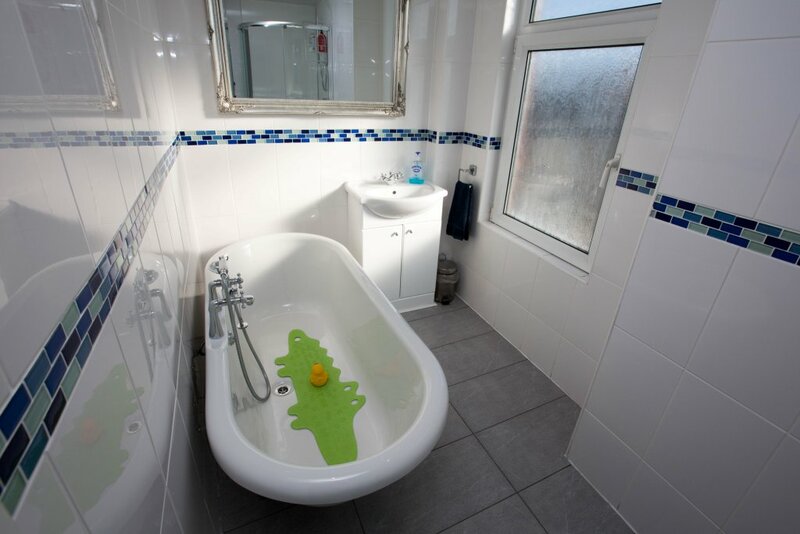 See more room photographs in our image gallery. Central location - 5 minutes walk from the beach, parks, pubs, restaurants and take-aways; 10 minutes walk from 24h supermarket, shopping area, Metro and bus station. Ten minutes drive from A19 & A1 road routes. 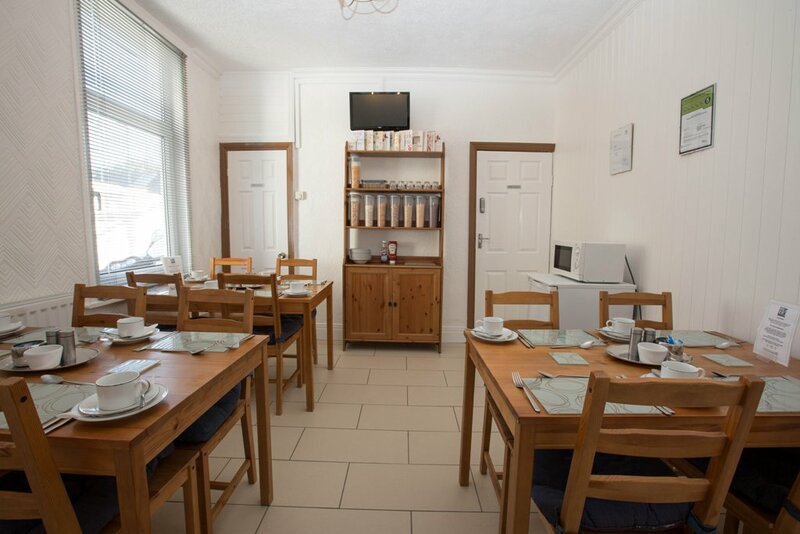 Prices from £15 per person, per night. Transparent room prices - book by telephone from 6am until 10pm or book online 24/7. No surcharge when you pay by debit or credit card. Special extended stay rates available: special offers. Full English breakfast served from 6:30am seven days a week. Full English breakfast freshly cooked to order. We cater for Vegetarians, Vegans, gluten-free and more. 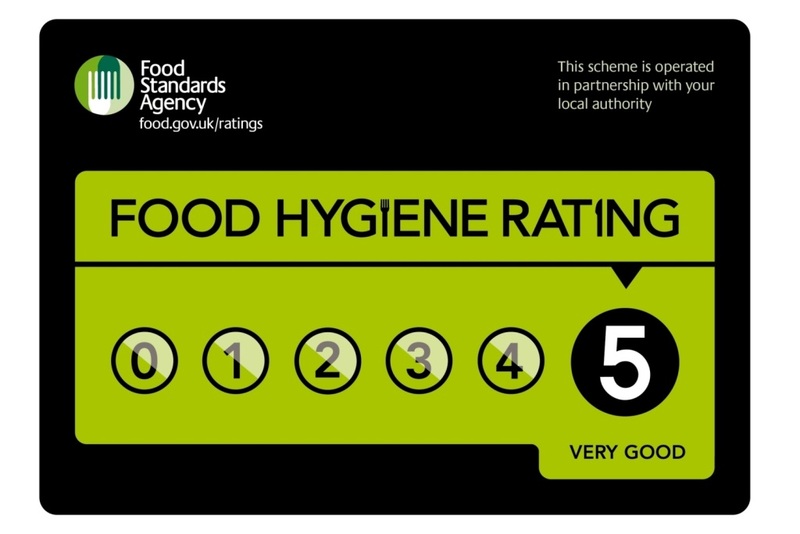 5* food hygiene rating; we are trained to Level 2 food hygiene & food safety. No restriction on bringing food/take-aways into the guest house. 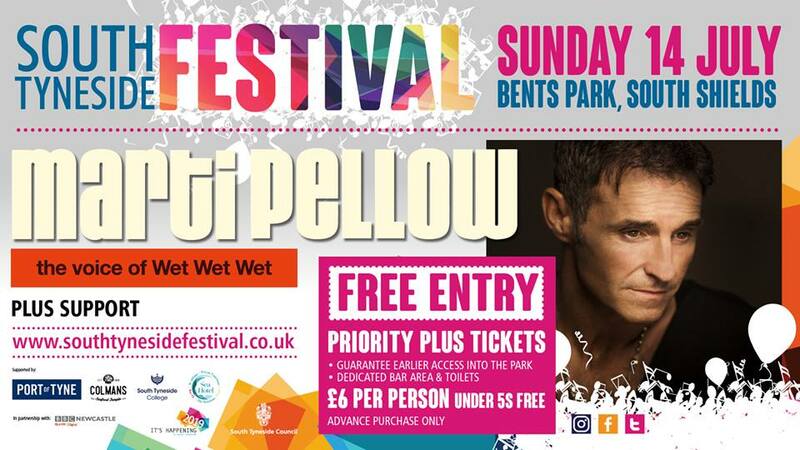 No DSS, homeless or stag/hen party groups accepted. Non-smoking inside, outside seating area for smokers. Complimentary shower gel and shampoo.